Last Tuesday I was invited to participate in a webcast panel discussion on Huffingtonpost Live. The topic was the “power of mindfulness.” Special thanks to Tanya Touchstone for the referral. 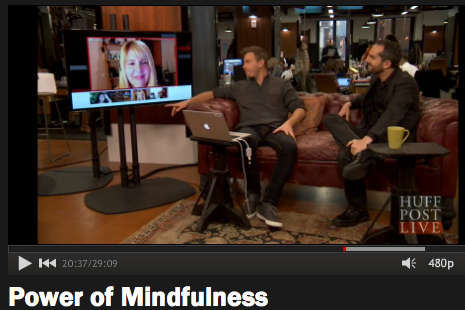 I hope the webcast was helpful to those who can benefit from mindfulness and meditation practice. You can view the webcast here. This entry was posted in Buddhism and tagged buddhism, Huffington Post, Lisa Ernst, Meditation, mindfulness, Vipassana, Webcast, Zen by Lyn. Bookmark the permalink.